South Korean intelligence agencies have detected signs that North Korea is restoring part of a missile launch site it began to dismantle after pledging to do so in a first summit with U.S. President Donald Trump last year, South Korea’s Yonhap News Agency reported on Tuesday, as Reuters’ David Brunnstrom and Lisa Lambert report. U.S.-backed forces in Syria are holding more than 2,000 suspected Islamic State fighters, doubling previous estimates. The new estimate will make it more difficult for the U.S. and its allies to wind down operations in Syria, as the WSJ’s Nancy Youssef and Gordon Lubold report. Dive Deeper: “The Evolution of the Salafi-Jihadist Threat,” by CSIS’s Seth Jones, Danika Newlee, and Nicholas Harrington. "Looking Beyond Syria and ISIS: America’s Real Strategic Needs in the Middle East," by CSIS's Anthony Cordesman. Army Gen. Curtis Scaparrotti told the Senate Armed Services Committee on Tuesday that the U.S. does not have a plan to stop Russia from building nuclear-capable intermediate-range missiles once the INF Treaty expires in five months. Scaparrotti suggested that the United States should revive or create a new treaty with Russia to set limits and create stability, as the Washington Post’s Paul Sonne reports. Dive Deeper: “Mourning the INF Treaty,” by Tom Nichols in Foreign Affairs. Pakistan’s Interior Ministry announced the arrest of 44 people affiliated with outlawed organizations, including two relatives of the leader of the extremist group that claimed responsibility for the February 14 terrorist attack in Indian-controlled Kashmir, as Reuters reports. In a new feature, CSIS's ChinaPower Project explores China's cinema explosion. Of the top 20 films released each year between 2000 and 2013, only five were produced or co-produced by China. 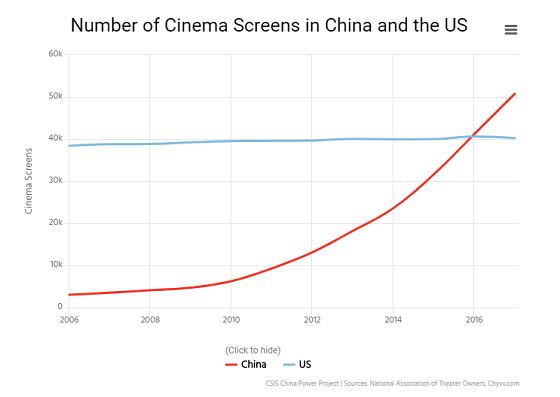 Since 2014, however, China has financially backed 24 blockbusters. (Photo credit: Erika Goldring/Getty Images). 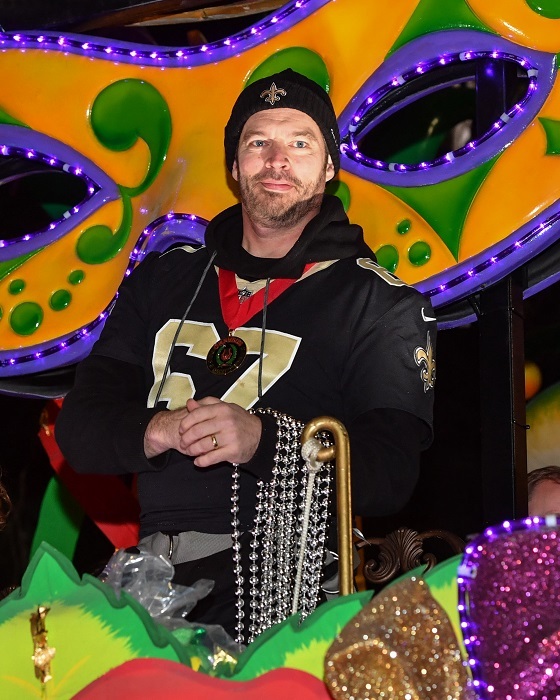 Celebrity monarch Harry connick Jr. rides in the 2019 Krewe of Orpheus parade in New Orleans, Louisiana. At 10:00 a.m., the Henry L. Stimson Center and the International Crisis Group will host a panel discussion on the Hanoi summit outcomes and implications for making a denuclearization deal, as well as the key takeaways, opportunities and challenges moving forward. Then, at 1:00 p.m., the United States Institute of Peace will hold a discussion on how diverse communities working on prevention, peacebuilding, rights, and governance can mobilize to implement the 2030 Agenda for Sustainable Development to overcome violence and fragility. And, at 4:30 p.m., Brookings Institution will host Secretary-General of the European Commission Martin Selmayr for a conversation on the future of the European Union and multilateral engagement in an era of great power competition. Yesterday, CSIS hosted an expert panel to discuss the evolution of technology in the world’s major economies and how competing visions are shaping approaches to digital governance, featuring a keynote address from Representative Suzan DelBene (D-WA) and closing remarks from Ambassador Robert Holleymanan. Watch the full event here. Trade experts Scott Miller and Bill Reinsch break down the buzz around trade, how it affects policy, and how it impacts your day-to-day. 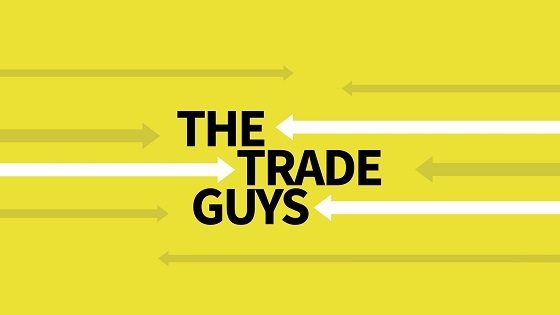 In this episode, the Trade Guys discuss the pros and cons of the emerging U.S.-China trade deal, and what's happened after a year of steel and aluminum tariffs. Today is Fat Tuesday—I smiled today when I received a widely distributed note from the president of my alma mater wishing all Tulanians a Happy Mardi Gras. I’m fascinated by the culture of organizatioU.S.-backed forces ns and my university certainly has a distinct one.